It might be the scale of The Dallas Arboretum that makes it such a popular events venue. With 66-acres of gardens and estates, the Arboretum is a favorite for a myriad of events including festivals, concerts, art shows, corporate parties, dinners, and weddings. 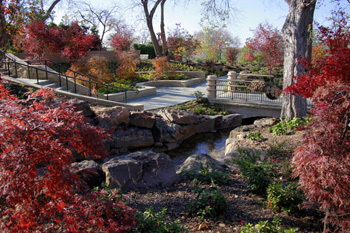 Set on White Rock Lake, The Dallas Arboretum features unique display gardens such as “The Woman’s Garden,” a gift to the Arboretum by its Women's Council in 1997. The 1.8 acre garden features a reflecting pool that provides a water-on-water view overlooking the lake. This past October, The Arboretum also added “the Nancy Rutchik Red Maple Rill”. The garden has a collection of over 80 varieties of 200 Japanese Maples. There is a nearly 100-year old large weeping Japanese maple in the center of the garden For corporate or social events, the DeGolyer Estate at the Arboretum is a top choice. The 21,000 square-foot mansion was built in 1940 and is listed on the National Register of Historic Places. The home was built with history in mind, designed to look one hundred years old at its construction. The structure was created with a Latin Colonial Revival style and design. The mansion was recently renovated to re-create its’ first built look. The impressive estate features thirteen rooms, seven baths, five fireplaces, and seven chimneys. This site caters to private garden dinners and receptions with flexible seating, meal, and valet options. They even have an onsite Event Manager to help plan all logistics for the venue. Similarly, the Library is another location ideal for meetings, networking events, and dinners. The Dallas Arboretum has a reputation as one of the best wedding locations in the city. Not only does its’ gardens offer stunning views for ceremonies and wedding photos, but it also provides a variety of options to couples. Gardens and lawns can accommodate ceremonies of all sizes. The Poetry Garden and the Pulpit are ideal locations for couples looking for a more intimate setting. 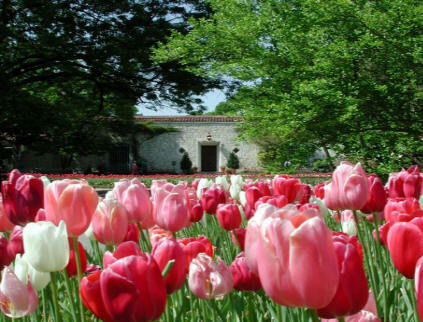 In 2010, Dallas local news source, The Preston Hollow People named it the best place to propose and MSN bestowed the title as one of the “Top 14 Places in the World to See Spring Flowers”. Based on the scale of this spectacular setting, everything might just be bigger in Texas. But this multi-faceted venue could be just the spot to host your perfect event, whatever the style or size. Have you ever attended an event or performed at the Dallas Arboretum? Let us know in the comments below.